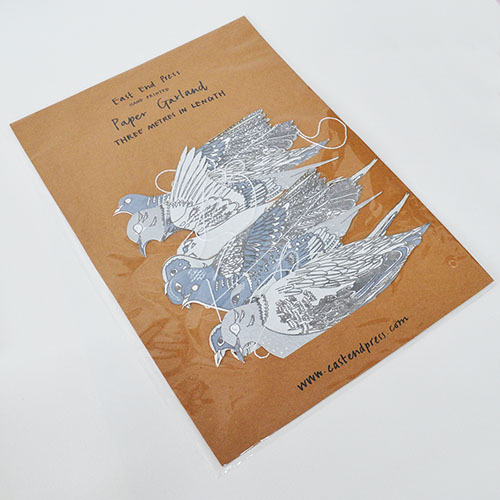 East End Press is a print and design studio based in Glasgow , Scotland. 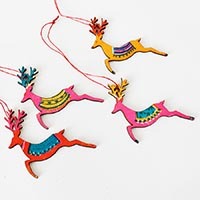 The studio designs and produces brightly coloured, hand printed decorative homeware; mainly screen printed paper garlands and birchwood hanging decorations. 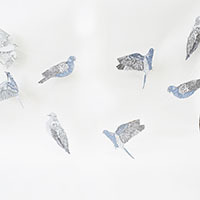 -please note, every garland is hand printed so may vary slightly from the photograph, this just adds to the charm! 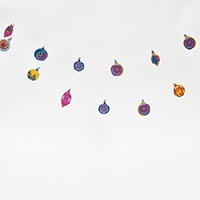 Hand printed three metre long paper garland, featuring twenty screen printed paper shapes of different vintage glass baubles. 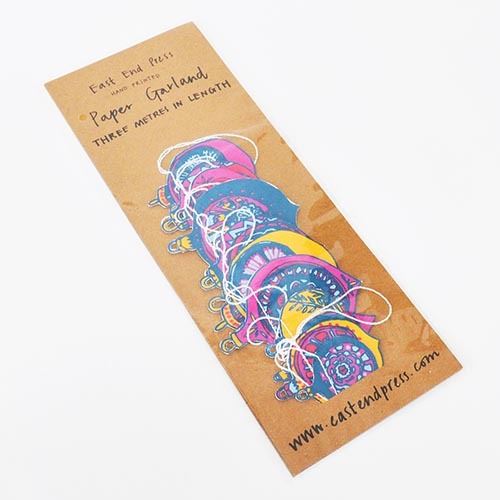 The garland is printed on both sides on thick, hand made cotton paper. 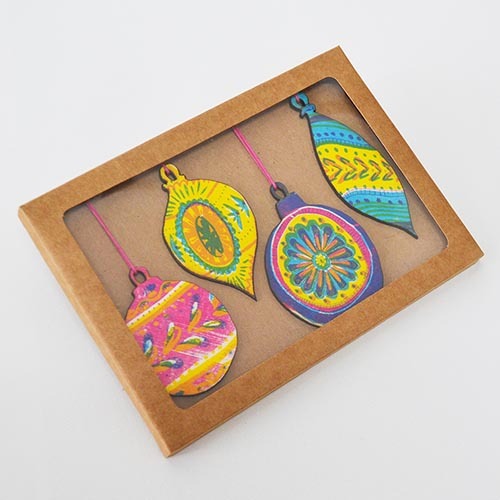 The shapes are sewn in a random order along strong cotton thread, with hanging loops either end, meaning you can hang your garland straight away! 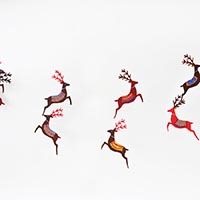 Hand printed three metre long paper garland, featuring ten screen printed paper shapes of different festive reindeer. 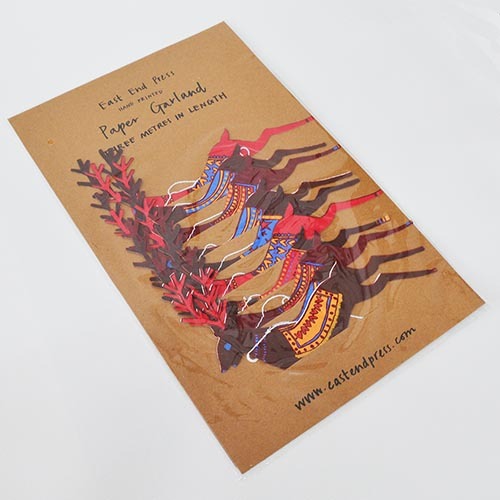 The garland is printed on both sides on thick, hand made cotton paper. 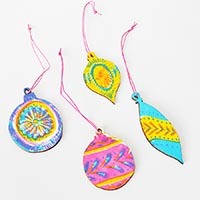 The shapes are sewn in a random order along strong cotton thread, with hanging loops either end, meaning you can hang your garland straight away! 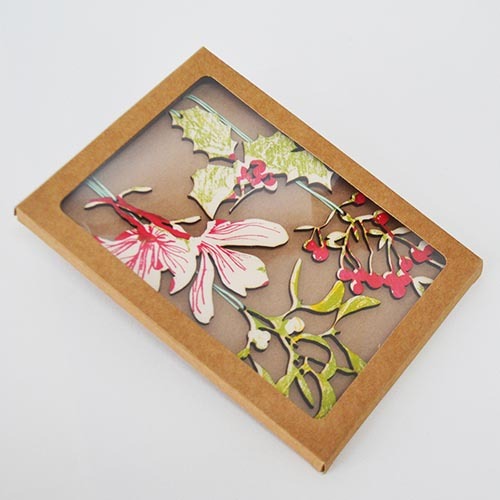 Hand screen printed at the East End Press studio in Glasgow, each pack includes four different poplar ply wood decorations featuring different winter foliage designs. 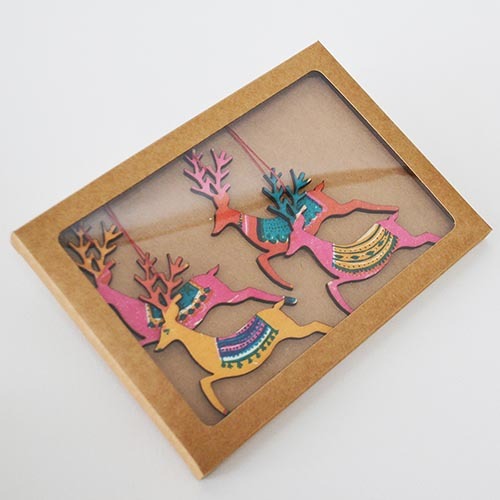 The decorations are screen printed and laser cut, each with a coordinated waxed cotton hanging loop. 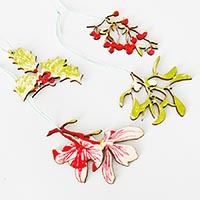 Ideal for decorating your Christmas tree, or hanging around your home to add some festive cheer!